Conference of Presidents welcomes anti-BDS Executive Order signed by New York Governor. Cuomo announced the Executive Order on Sunday, and also said that he plans to put out a list of business and organizations that support BDS. “The governor sent a strong, clear and direct message that New York will not do business with those who cave in to pressure from the BDS movement by refusing to do business with Israel. Gov. Cuomo’s decisive action sets a standard all of our nation’s governors should emulate,” they added. On Sunday, the UJA-Federation of New York applauded Cuomo for the initiative. “UJA-Federation of New York applauds Governor Cuomo for being the first governor in the nation to issue an executive order directing state entities to divest all public funds supporting the Boycotts, Divestment and Sanctions (BDS) campaign against Israel,” said UJA Federation of New York CEO Eric S. Goldstein in a statement. 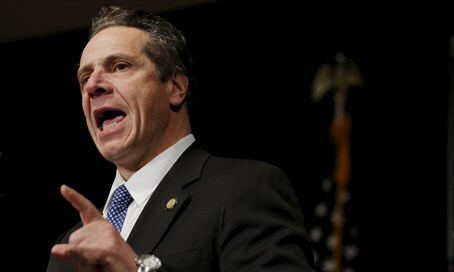 “This executive order clearly demonstrates the discriminatory nature of BDS against the State of Israel and we are proud that the governor of New York State has taken this historic action to stand with Israel and reject the BDS movement,” he added.